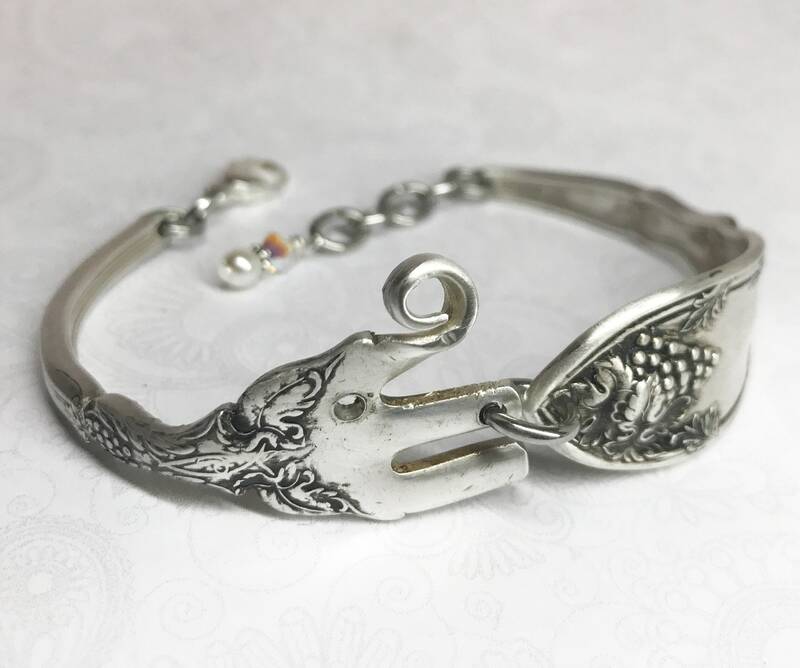 This baby elephant fork bracelet was created from an antique cocktail fork. The pattern is the ornate but delicate grapevine pattern 'La Vingne' from 1908. It would be a great gift for a wine lover, elephant enthusiast or anyone who appreciates something a little different. 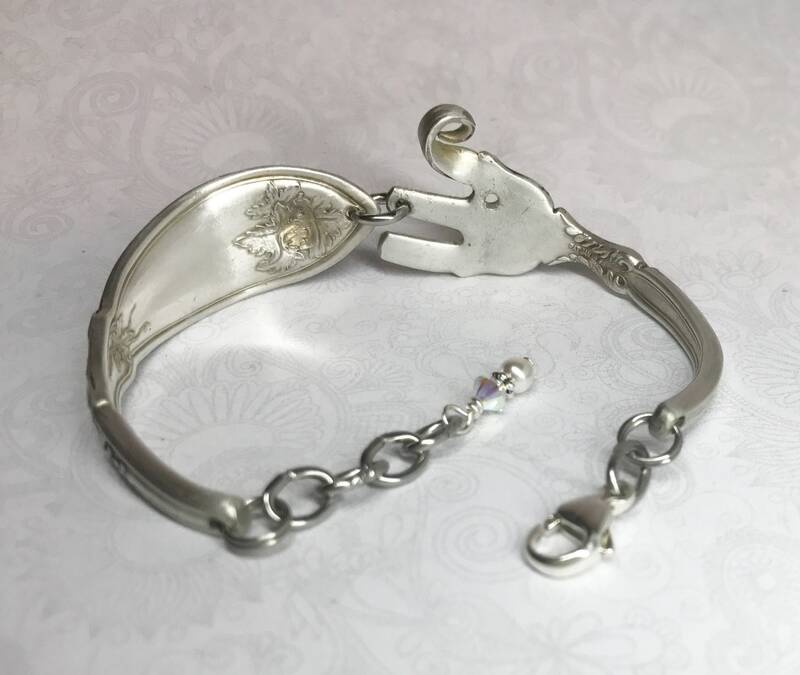 This fork bracelet is finished with a sterling silver lobster clasp and extra links for an adjustable fit. It will also include a complimentary bracelet helper tool to make attaching it much easier. You may also opt for a magnetic closure, if you know you or your recipient's wrist size. The magnetic closure doesn't have the option of extra links, and therefore, not as much leeway in sizing. 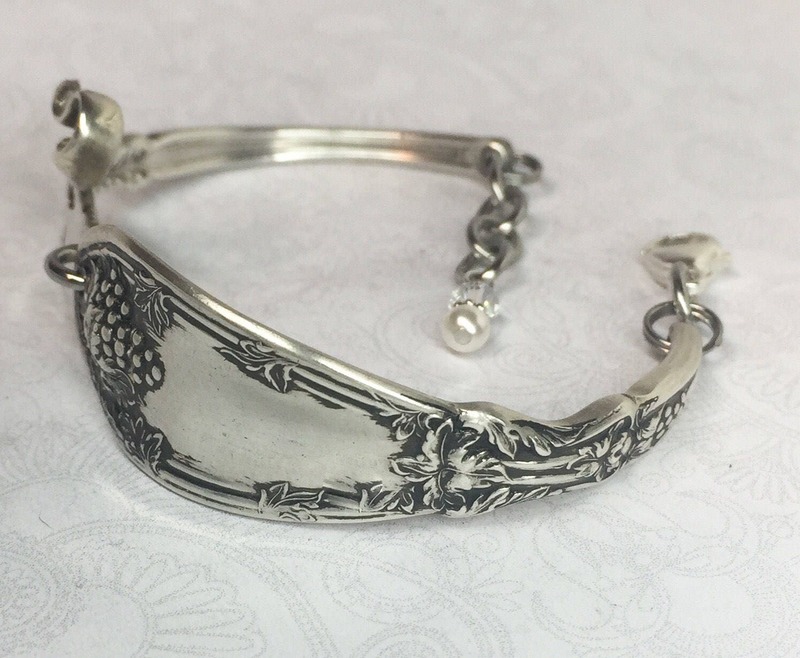 I can make this bracelet in any size, up to 8". Cocktail forks come in different lengths, and with this pattern, making it larger would result in too many links and not enough fork. I can do it if you like, but just letting you know. 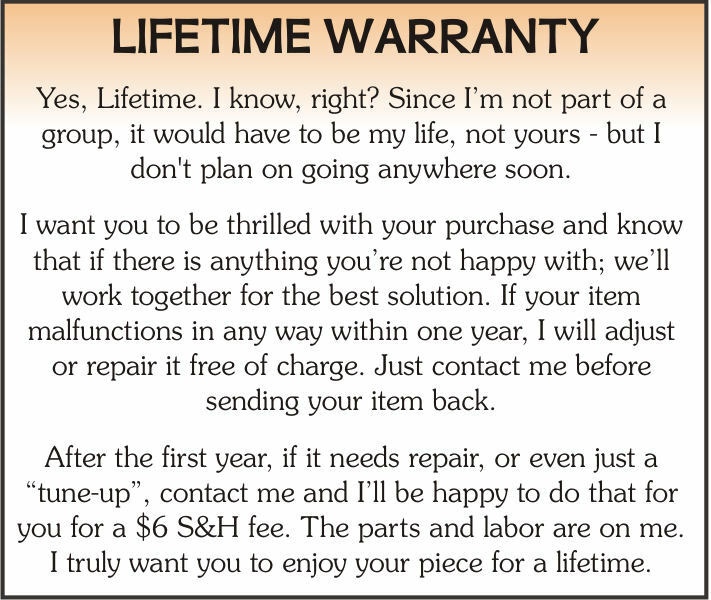 For a truly custom fit, you’ll be prompted at checkout to provide your actual wrist measurement – with nothing added – so I can fit your bracelet just for you - the extra room will be built in. 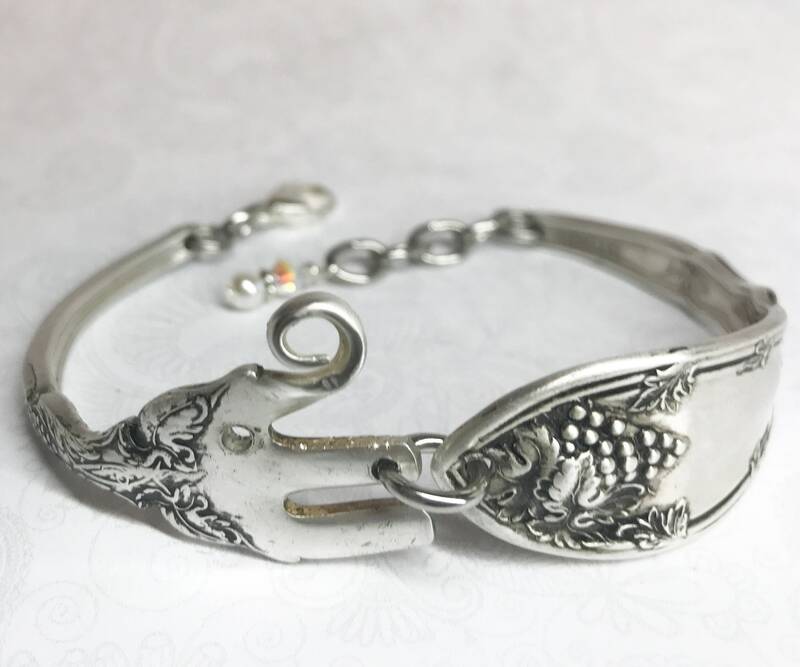 Again, If this is a gift and you cannot obtain your recipient's wrist size, I would recommend ordering it with a lobster clasp closure with the extra links; allowing for a flexible fit. 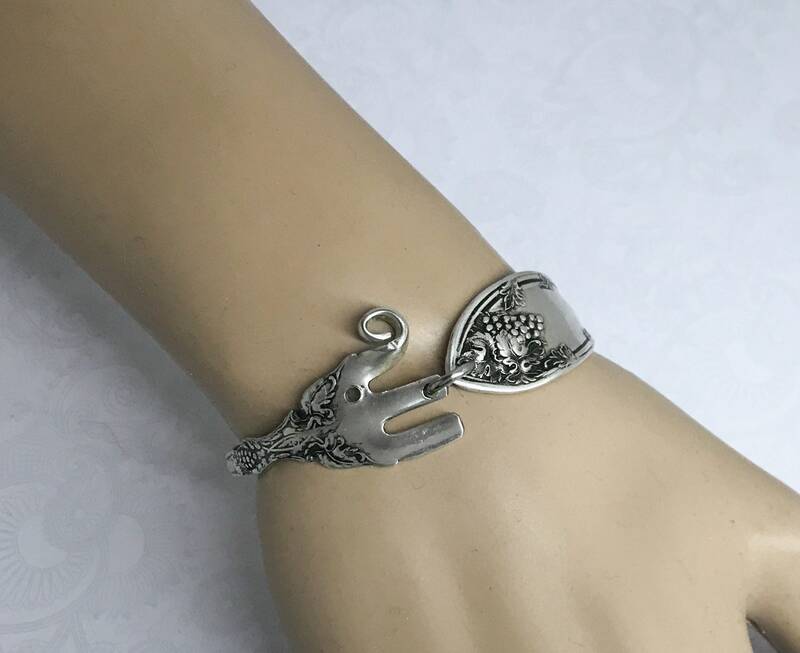 This elegant but fun elephant fork bracelet comes to you festively packaged, along with a Spoonfest Jewelry story card, and pattern name/age of the spoon and your complimentary bracelet tool if you opted for a lobster clasp closure. Another beautiful piece! Very well packaging and prompt delivery. 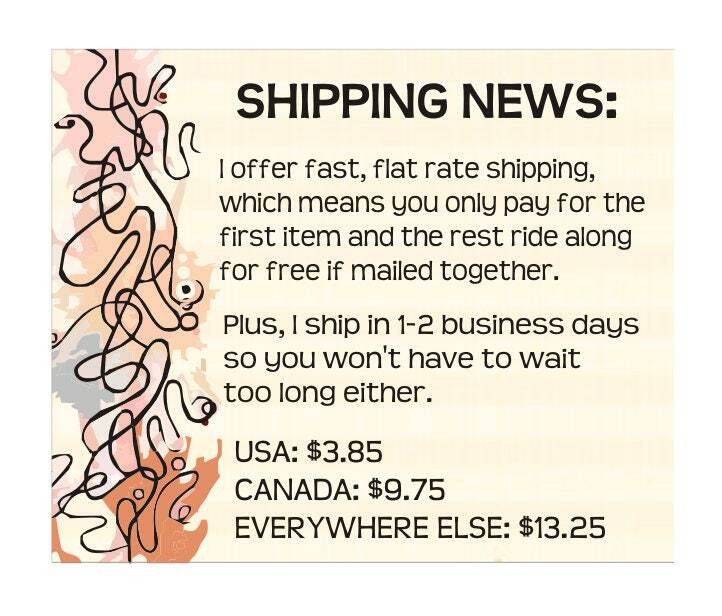 Really fast shipping and this bracelet is so cute!! And really well made. I am very happy with it and love wearing it!